This article presents a brief history of the Labour Party from the late 19th to the early 21st century. It lists some of the ground-breaking changes which successive Labour governments have made such as the introduction of the “welfare state” and establishment of the NHS. The Labour Party has been in power for only about 34 years since it was formed in 1900. But the changes made by Labour have had a deep and lasting impact on society. They have brought massive improvements in living standards for ordinary working people. The history of the Labour Party began when it was founded in 1900. Keir Hardie was the first leader of the Labour Party. Hardie was born in 1856 and grew up at a time when child labour was customary. He was only 7 years old when he started his first job, making it impossible for him to continue at school. His parents taught him to read and write, a skill which enabled him to educate himself in later life. At the age of 10 he started work in the mines. And in his early 20s he became a spokesperson and organiser for the miners’ union. In 1892 West Ham South elected Hardie as their MP. And in 1893 he and his associates formed the Independent Labour Party. 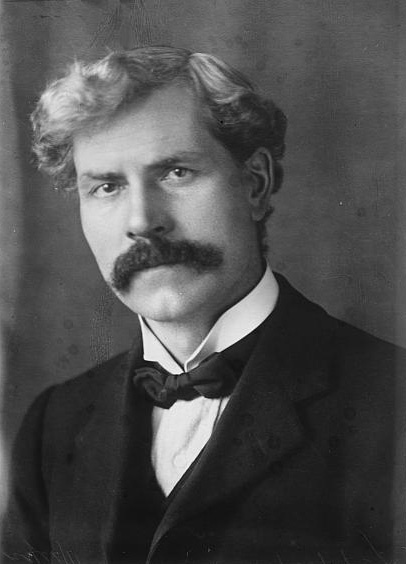 Hardie and his contemporaries wanted a pragmatic party that would benefit ordinary working people. In 1900 the Marxist Social Democratic Federation (SDF) offered an alliance to Hardie’s group but they rejected it. They considered the SDF to be too ideological and instead joined forces with the trade unions to form the Labour Party. Hardie and his compatriots showed great commitment and foresight when they established the Labour Party. Their work enabled the huge social changes and improvements in living standards of working people in the second half of the 20th century. Labour overtook the Liberals to become the main opposition. Legislated to improve pay for the unemployed. Legislated for better wages and conditions in the coal industry. Passed the Housing Act, which made payments to local Councils so that rented housing could be built and dealt with slum clearance. In addtion, the first ever British woman cabinet minister, Margaret Bondfield, was appointed as Minister of Labour. Establish and grow the party. Build public support for labour policies. Nationalisation of major industries, including coal, steel, electricity, gas, transport, and the Bank of England. Establishment of the National Health Service under the leadership of Health Secretary Aneurin Bevan, arguably Labour’s greatest achievement. Introduction of a major programme of house building. Legislation to outlaw racial discrimination. Creation of the Open University. Labour inherited an economic mess from the Conservatives. At the time there had been a global recession caused by the 1973 oil crisis. The previous Conservative government, led by Edward Heath, made the situation worse with misguided economic policies and the 3-day week. Labour managed to control inflation (which peaked at over 23% in 1975) by introducing wage restraint. By 1978 inflation had fallen to 7.8% and the government had brought the economy onto a better footing with falling unemployment, higher living standards and a growing economy. Signing of the historic Good Friday Agreement which marked the end of the conflict in Northern Ireland. Introduction of the minimum wage. Devolution of power to Scotland and Wales. Cancelled up to 100 per cent of debt for the world’s poorest countries. The world’s first Climate Change Act. The next Labour government will continue in the tradition of previous Labour governments. It will implement a radical, transformative agenda to improve the lives of everyone. See the Labour manifesto for further information.